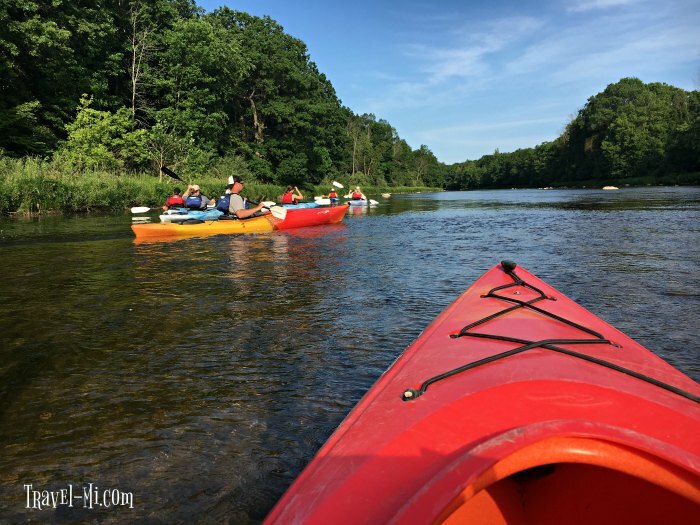 The BEST Things To Do Midland Michigan! 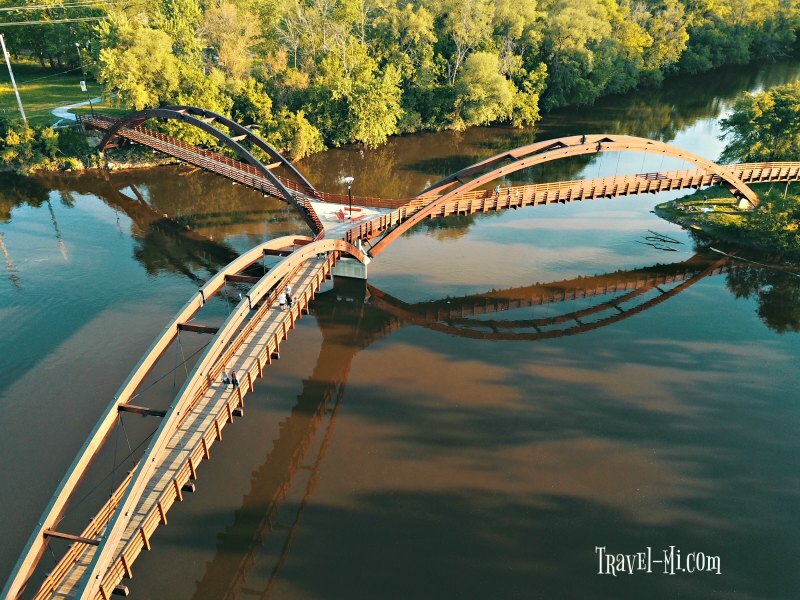 Dow Gardens to the Tridge to the Longest Canopy Walk in America, Midland Michigan has so much to see, do, explore and eat!! Love baseball? What about nature centers and art? We've got it! Dow Gardens is a 110-acre botanical garden located at 1809 Eastman Avenue, Midland, MI. It is one of my absolute favorite places to visit! Since we live close, I go there about 4 times a month! Dow Gardens is a wonderful place to spend the day. Enjoy paved walking trails, children's gardens, ponds, rose garden, waterfall and so many nooks and crannies to explore! 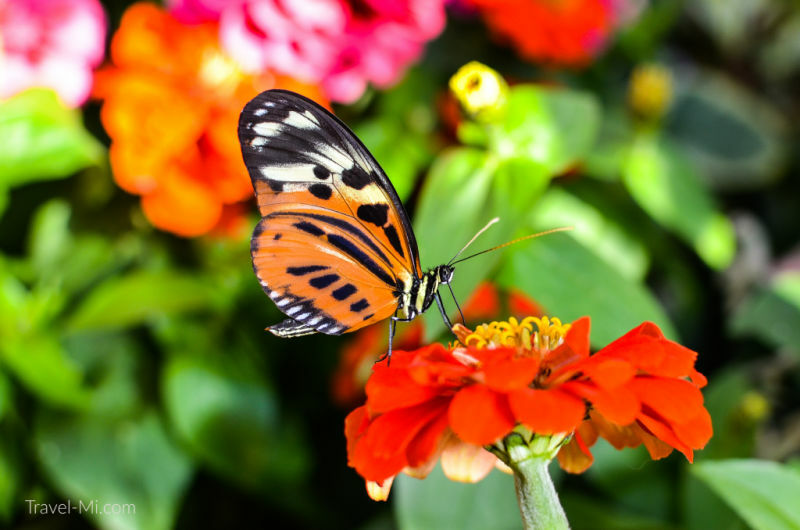 Don't miss Dow Garden's Butterflies in Bloom! See my tips and "Know Before You Go!" It's an amazing experience! Dow Gardens is gorgeous all year! 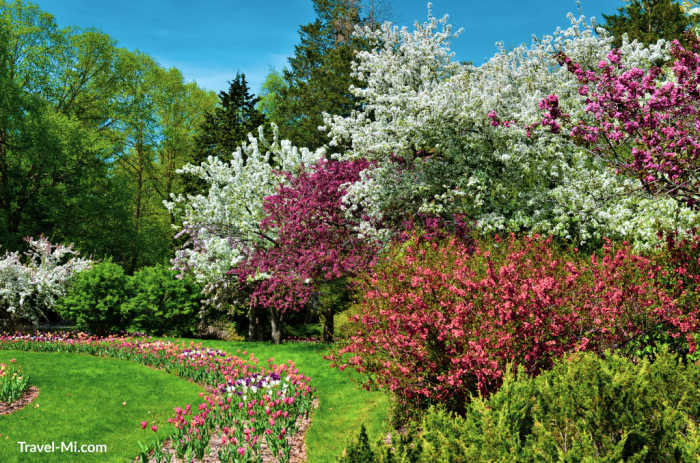 Winter, spring, summer and fall offer new experiences and beautiful gardens to discover. 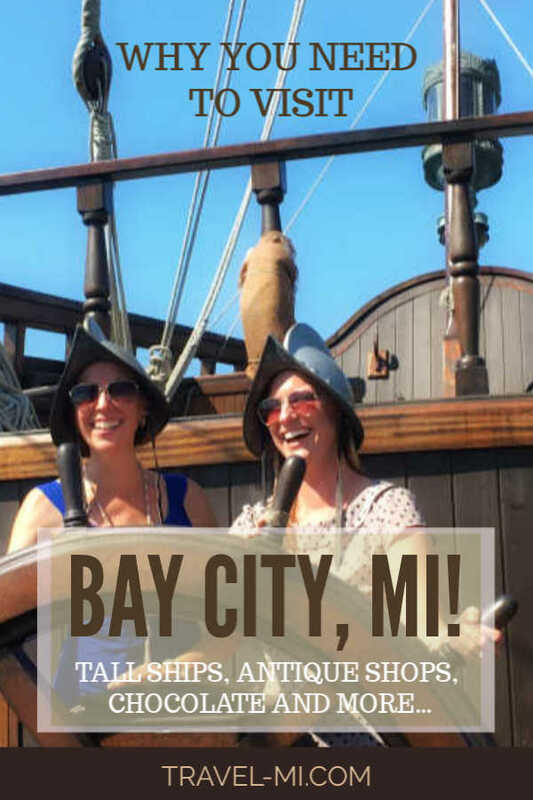 Wonderful place to add to your "things to do in Michigan" list!! The Midland Canopy Walk just beat the record for the Longest Canopy Walk in the United States!! This unbelievable canopy walk stretches 1,400 feet long and soars 40 feet above the lush forest floor! Not only can you explore the longest canopy walk in the United States, but make sure you allow time to explore the forest, covered bridge and secret little paths! I love listening to the spring peepers, searching for new sprouting plants and breathing the fresh air every spring! Summer offers a cool place to power walk while enjoying luscious shade and pausing to peer over the bridge in search of frogs and darting fish. 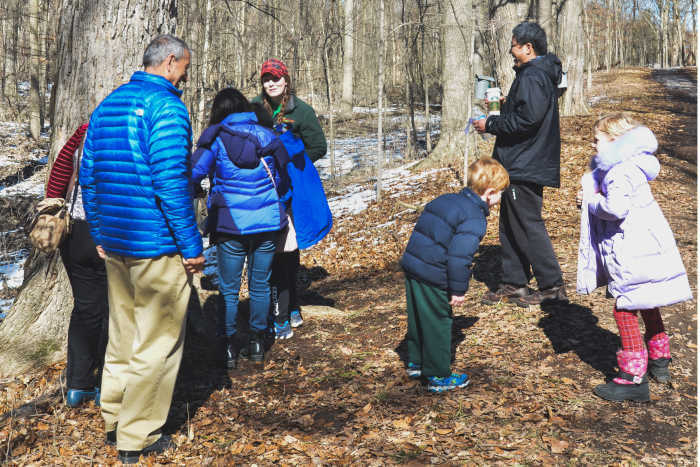 Winter at the Whiting Forest is a completely new experience! The views of the forest blanked in sparkly snow from the canopy walk is an exquisite vantage point! The Great Lakes Loons are a Minor League Baseball of the Midwest League and the Class A affiliate of the Los Angeles Dodgers. 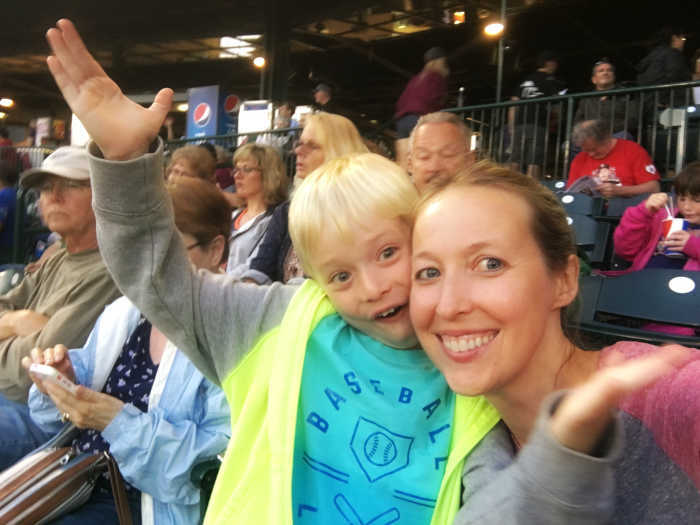 We absolutely LOVE going to the Midland Loons games! My nephew and I had a blast...obviously!! The stadium is so beautiful! Usually I don't say that, but it's true! It is very clean, the seats are as comfortable as possible, the home team sits in the shade and there are ton of bathrooms. The food at the Great Lakes Loons is great too. I always get the Michigan Cherry Chicken rollup as it's fresh and tasty. Make sure you shop in the Loons loft, I'm sporting a loons baseball shirt that I love so much! The Chippewa Nature Center is one of my favorite places to wander along a picturesque river and spotting nature. They offer tons of programs for kids and be sure to visit during their Maple Syrup Festival! 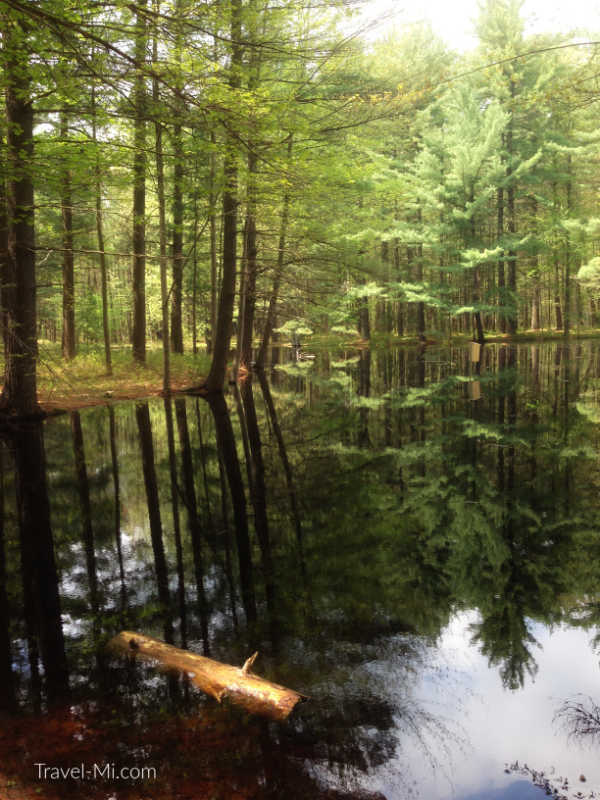 The Chippewa Nature Center in Midland Michigan encompasses over 1,348 acres of forest, rivers and wetlands. I go kayaking with the Chippewa Nature center about three times a year in organized trips in May, June and July. I absolutely love spotting turtles, roosting turkeys, deer, eagles and so many different types of birds. The Tridge is the formal name of a three-way wooden footbridge spanning the Chippewa and Tittabawassee Rivers in Chippewassee Park near downtown Midland, Michigan. The Tridge is THE LAUNCH SPOT for biking, running and walking. We park at the tridge (restrooms available) and bike all the way to the Chippewa Nature Center or north along the paved Pere Marquette Rail Trail. This trail miiiiiiight lead you right to an ice cream parlor! 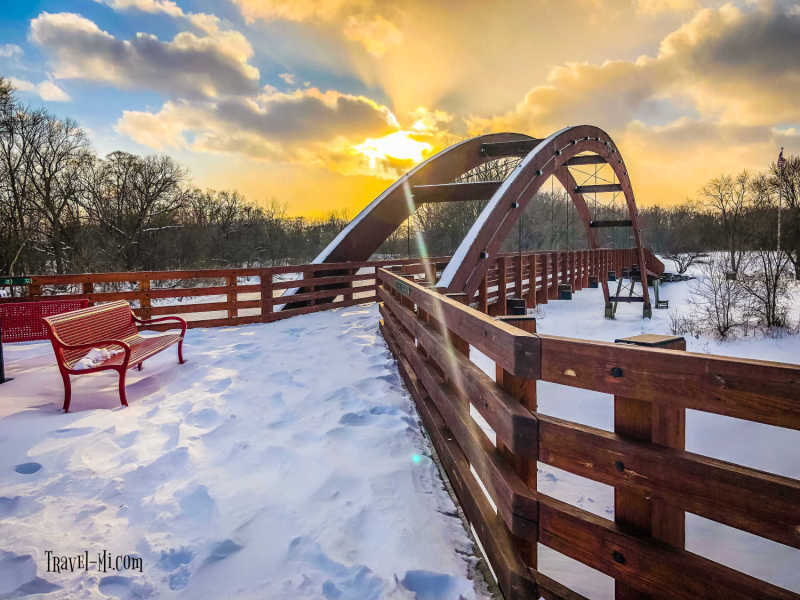 The Tridge in Midland Michigan was recently renovated so it is absolutely stunning in all seasons. It is also the home of the Midland Farmers Market! Make plans to visit today! 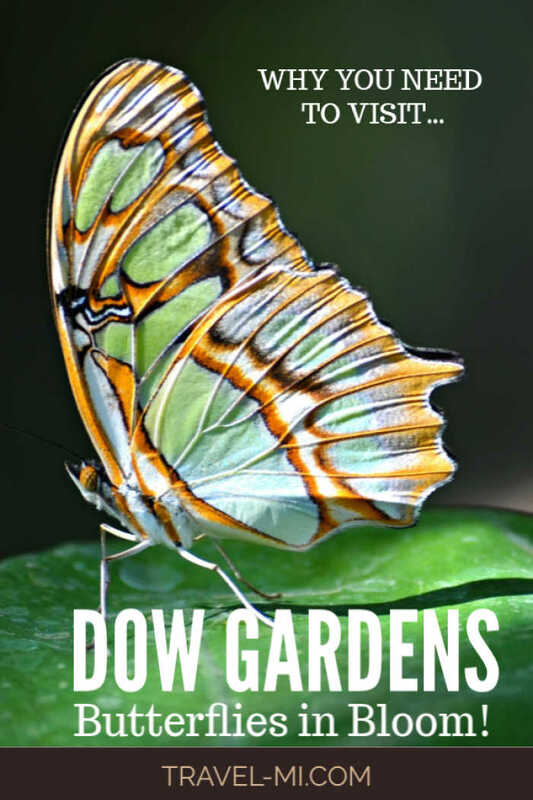 Click on the images above to know more about Dow Garden's Butterflies in Bloom and Bay City fun! 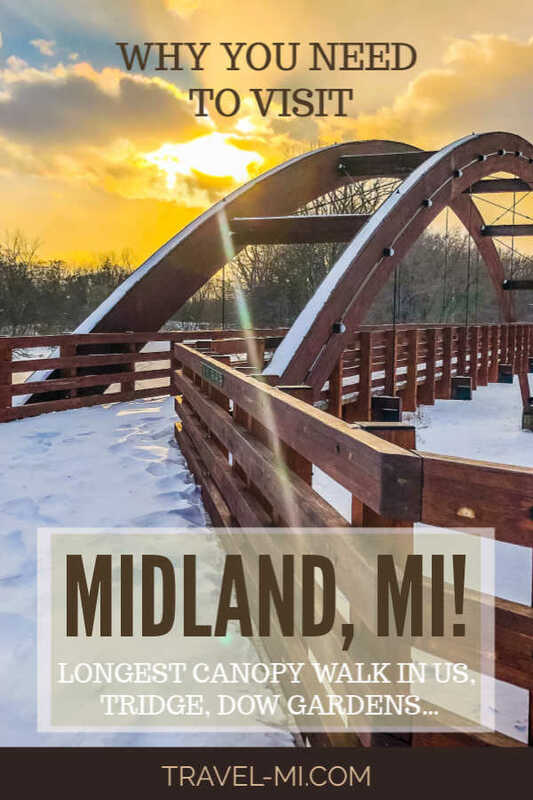 Have you been to Midland, MI? Have a suggestion, photos or fun story? We'd all love to see your pics or hear your ideas! Share it!